North Carolina State University researchers Dr. Anne Stomp and Dr. Jay Cheng believe they’ve discovered the key to better ethanol production. The key Stomp and Cheng say is a tiny aquatic plant known as duckweed. When introduced into wastewater, duckweed uses nutrients found in the wastewater for growth. Duckweed then captures wastewater nutrients and prevents their release into the environment. According to the researchers, implementing duckweed into the wastewater breakdown cycle can potentially produce five to six times more starch (per acre) when compared to corn ethanol. What does this all mean? For starters, the finding potentially means that creating ethanol using duckweed could be both faster and cheaper than corn-based ethanol. Currently in the United States, the primary crop used for ethanol production is corn. The North Carolina State University researchers believe their discovery could change that. Duckweed presents an attractive, non-food alternative that has the potential to produce significantly more ethanol feedstock per acre than corn; exploit existing corn-based ethanol production processes for faster scale-up; and turn pollutants into a fuel production system,” said university spokespersons. Stomp and Cheng also agree that implementing duckweed into the breakdown cycle would not require additional production facilities. 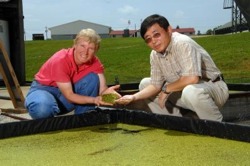 We can kill two birds – biofuel production and wastewater treatment – with one stone – duckweed,” Cheng says. Starch from duckweed can be readily converted into ethanol using the same facilities currently used for corn”, Cheng adds. The North Carolina State University researchers believe they are on a mission, and Stomp and Chang think the future looks green. 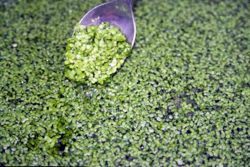 In the spirit of George Washington Carver, who turned peanuts into a major crop, Jay and I are on a mission to turn duckweed into a new industrial crop, providing an innovative approach to alternative fuel production,” Stomp states. Stomp and Cheng presented their research, which is funded by the North Carolina Biofuels Center, on March 21 at the Institute of Biological Engineering annual conference in California. The research discovery has triggered the creation of a pilot program to further investigate the use of duckweed on animal wastewater. 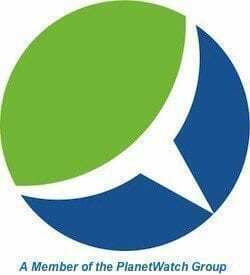 Water treatment companies- Delhi/India based water treatment equipment manufacturer and supplier and provide water treatment, wastewater treatment, effluent treatment plant, wastewater treatment plant.